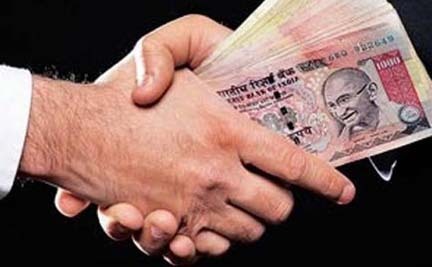 The Joint Director of the Health Services,Dhemaji, Dr Abdul Latif, was caught red-handed by the sleuths of Vigilance and Anti-Corruption cell of Assam Police on corruption charge in Dhemaji on Monday evening. A Vigilance and Anti-Corruption team arrested the Joint Director of Health Services, Dhemaji in his office at around 5.30 pm. The chief spokesperson of Assam Police in a press communique informed that the accused was caught red-handed while he was accepting a bribe of Rs 12,000 from one Mridul Sarma for clearing a bill. The accused had allegedly demanded a bribe of Rs 18,000 that is 10 per cent of the bill amount of Rs 1.83 lakh from the complainant, Mridul Sarmah. It may be mentioned that Mridul Sarmah lodged a complaint with the Vigilance and Anti-Corruption, Assam stating all details about Dr Latif’s bribery demand from him. A case (No 20/2018) has been registered under sections 7(a), 13 (2), 13(1)(b) of the Prevention of Corruption Act against the accused. The accused will be produced before the Special Court on August 28.